This is a full ice practice for squirt age level players that starts with a series of full ice skills series with the 3 cone skills series. 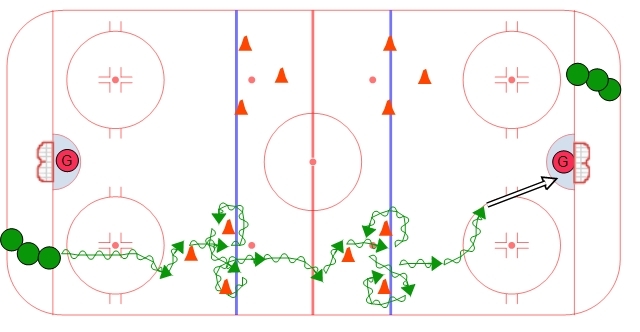 After that player progress into 2 on 0 full ice drills that work on options when entering the zone and attacking the net. Then there is a fun drill where players work on protecting the puck within the circle and are rewarded with a shot on net if they can protect the puck until the whistle is blown. The practice ends with a great 3 on 3 small area game. 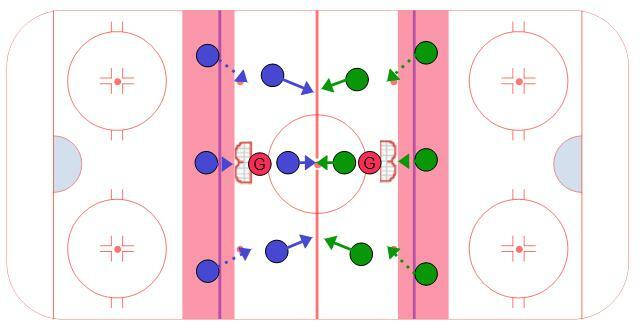 In this variation players make a single shift move on the first cone. 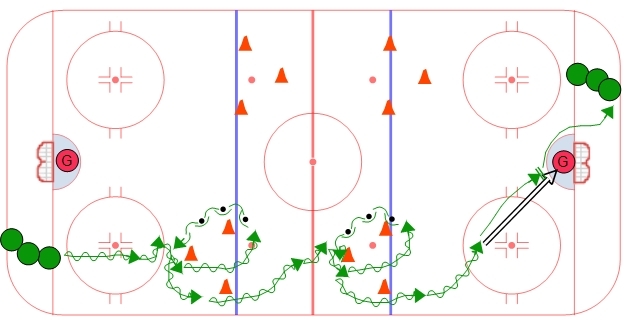 They skate between the two cones after the single shift move and then do quick cross overs around all three cones. Players should focus on moving their feet and accelerating as they do cross overs around the cones. At the second set of three cones they do everything in the opposite direction. Next player goes when the player in front of them is done with the first set of 3 cones. At the first cone players make a single shift move around the cone. 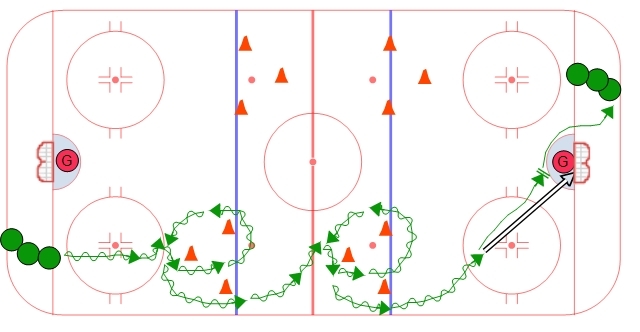 Then they transition backwards while handling the puck until they are at the top of the triangle, then they transition to forwards again and skate towards the next set of 3 cones. Read more about Protect IT!